Looking to take the children away for February half term but think it’s too late? Specialist holiday company www.cornwallscottages.co.uk have a range of great value properties to choose from that are close to some of the biggest attractions in the county. Active families can’t do better than a stay at The Lodge near Fowey. Nestling in beautiful woodland and surrounded by stunning countryside, it is a great base from which to explore the area. The Eden Project, with its Chocolate Festival and winter ice-skating rink, is close by as well as trails to follow by foot, bike and horse. Sleeping four, the cottage is well equipped and newly converted with a kitchen, open plan dining area and sitting room, two double bedrooms, separate bathroom, sun deck with tables and chairs and barbecue facilities, room for up to two well behaved dogs and can accommodate horses too! A week’s stay from Saturday 11 February 2012 is £363.29. (Flexible arrival dates and short breaks available from £258.30). 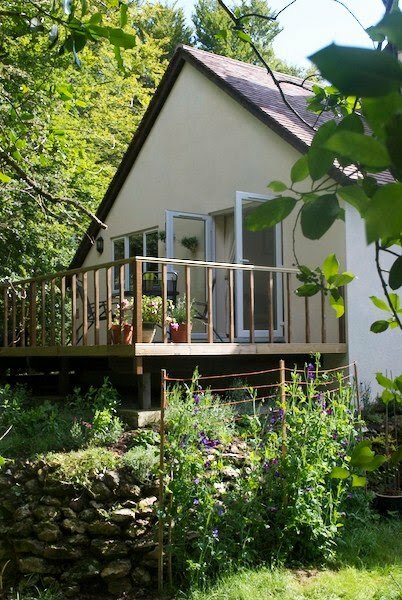 Centrally located on the south coast just outside of Truro with its superb shops and restaurants, but tucked away in a beautiful creek side position, Bethel Cottage is a truly romantic escape. Peace and tranquillity are guaranteed – watch the wildlife on the incoming tide from the main bedroom window and take in the views from the free standing bath, wander along the creek side path through unique plum orchards or relax beside the cosy wood-burning stove. A traditional Cornish cottage full of character features, it sleeps four in two double bedrooms and accepts up to two dogs. A week’s stay from Saturday 11 February 2012 is £549. (Short breaks available from £384.30). Located just a stone’s throw away from the fine golden sands and crashing surf of Porthmeor Beach, Binns Cottage in St Ives is a proper seaside holiday home! With attractions like the Tate St Ives, harbour, pubs, shops, art galleries and restaurants all within a short walk, this cottage is superbly placed for a family getaway by the sea. Laid out over three floors, there is a double room, bunk bed room, open plan kitchen/dining space and living room, boasting a beamed ceiling, rustic painted floor and local art on the walls. A week’s stay from Saturday 11 February 2012 is £349. (Flexible arrival dates and short breaks available from £244.30). For further information visit www.cornwallscottages.co.uk or call 01872 264441.